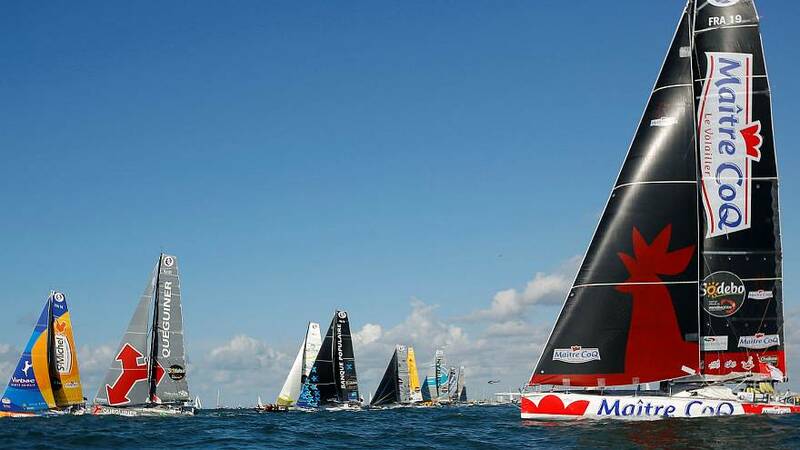 Competitors of the Vendee Globe set sail for the eighth edition of the non-stop solo round the world race on Sunday. Thousands of spectators ashore and afloat gathered to see the departure in the French port of Les Sables d’Olonne. Among those favourites for top honours this edition are Jéremie Beyou who is heading out for his third Vendée Globe start but hoping to finish the race for a first time after abandoning in 2008 and 2012. Armel Le Cléac’h is also tipped for success aboard Banque Populaire while the fleet’s only previous winner, Vincent Riou is definitely not to be ruled out on PRB. Six skippers in the 29-strong fleet have boats equipped with hydrofoiling daggerboards which lift the boats out of the water to reduce drag and enhance performance – just like in the America’s Cup. The foils mean that , François Gabart’s 2013 record of 78 days and 2hrs is at risk of being soundly beaten although nothing should ever be taken for granted in sailing’s most demanding solo race.